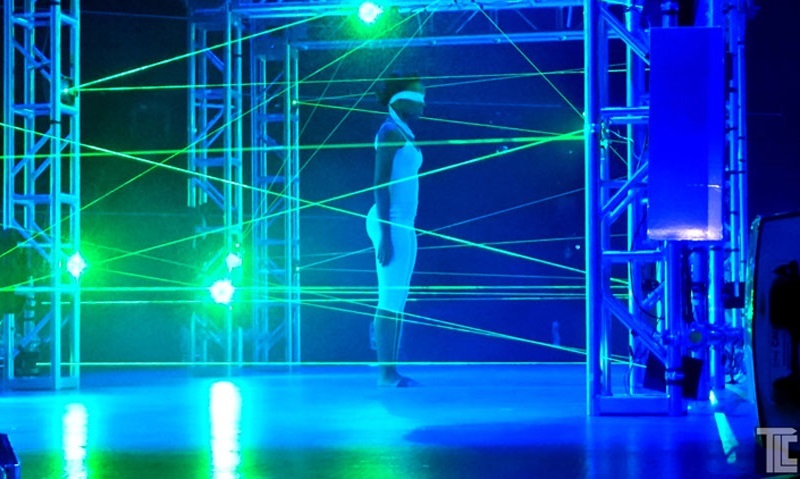 TLC Creative designed a set-piece for dance / movement competition on a tv challenge show using Laser beams and sensors. 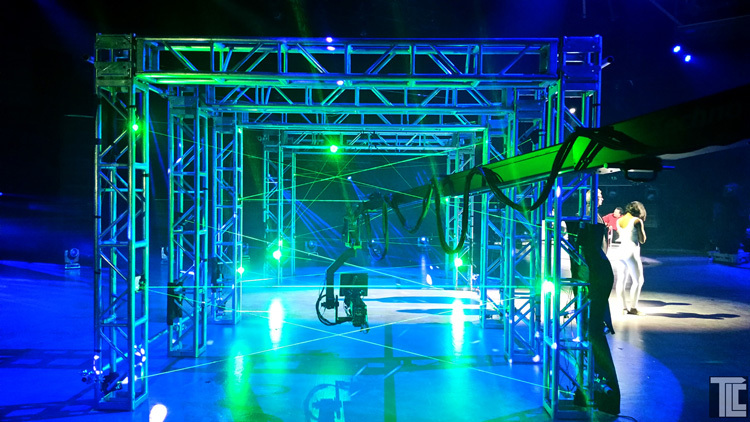 Interactive laser beams triggered sounds when contestants touched a beam. 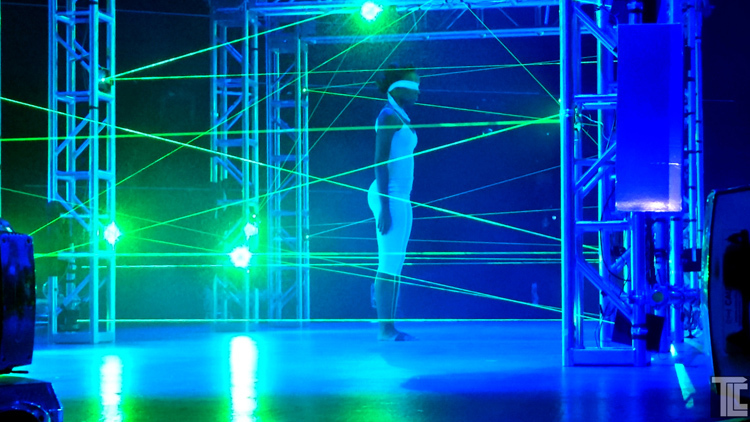 TLC Creative provides laser beams and laser effects for all types of shows and events. 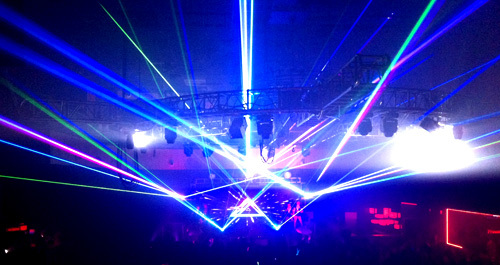 Laser entertainment is unique and memorable, and custom soundtracks and laser programming add high-energy and high levels of excitement.Laser graphics and laser animation add excitement with vivid colorful displays of images and logos in laser light, which can project in focus on almost anything. 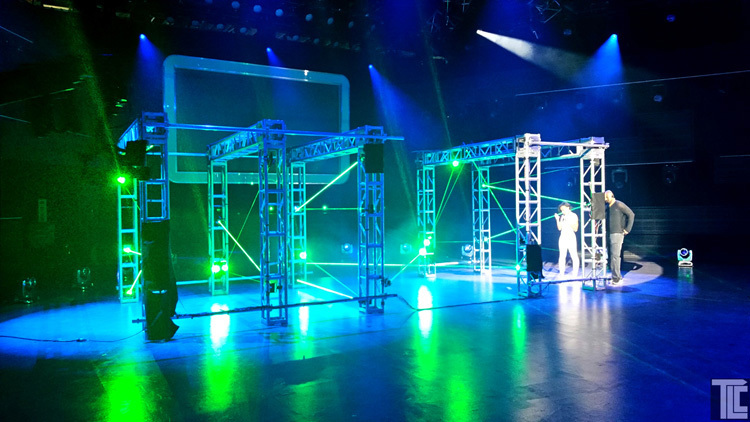 TLC creates all types of reveals and live special effects shows, using kabuki drops and projection effects. TLC launched a building dedication ribbon using a laser to ‘cut’ the ribbon in laser light.